THIS EVENT IS WORKING THROUGH A WAITING LIST OF PEOPLE WANTING TICKETS... JOIN THE LIST TO GET YOURS! THE BIGGEST SHOW ON U.K TV RIGHT NOW! 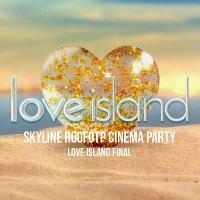 DUE TO MASSIVE DEMAND AND INITAL SELL OUT WE HAVE MOVED THIS TO A EVEN BIGGER AN BETTER ROOFTOP VENUE... THE SHANKLY HOTEL GARDEN OF EDEN TERRACE. * In unfortunate cases of bad weather such as rain and strong winds tickets are non refundable, the event will still go ahead but in a suitable indoor event space with the same building.